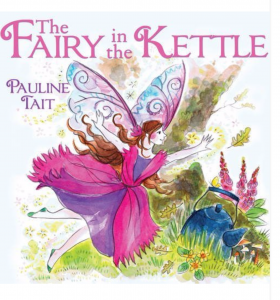 With 4 and 5 Star Reviews, The Fairy In the Kettle has been praised for promoting kindness, thoughtfulness and being true to yourself. Perfect for pre-school and lower primary school children, The Fairy in the Kettle takes children on a magical journey to the heart of Bramble Glen, a beautiful fairy village, where Leona and all her friends live. Leona knows she is lucky, she has wonderful friends and family and lives in a beautiful old round cast-iron kettle, a place filled with adventurous fun. Leona fills her days with dancing, listening to music and decorating her kettle. However, how will Leona and friends cope on one particular wild and stormy evening when their fairy village turns into a nightmare…? The book is lively with lots of engaging, colourful pictures.